Your Email Security is Important To Us! If you're reading this, it's probably important to you as well and you may be deciding if you want to submit your email address in order to get the information you need. We completely understand that, so let us explain what the email will be used for. First, we're going to deliver the report you requested to this email address or send reminders if you've registered for a webinar. We've put great time, money and effort to prepare these great free tool to help people. We want to know that they are going to actual people who are sincerely interested. Second, it's a way to open the door to allow us to introduce ourselves in a professional manner, so you'll probably get a nice welcome email. In addition, you may get one or two emails that will provide you with some additional free information that you'll find helpful. Once a month we email a newsletter that you'll probably enjoy. 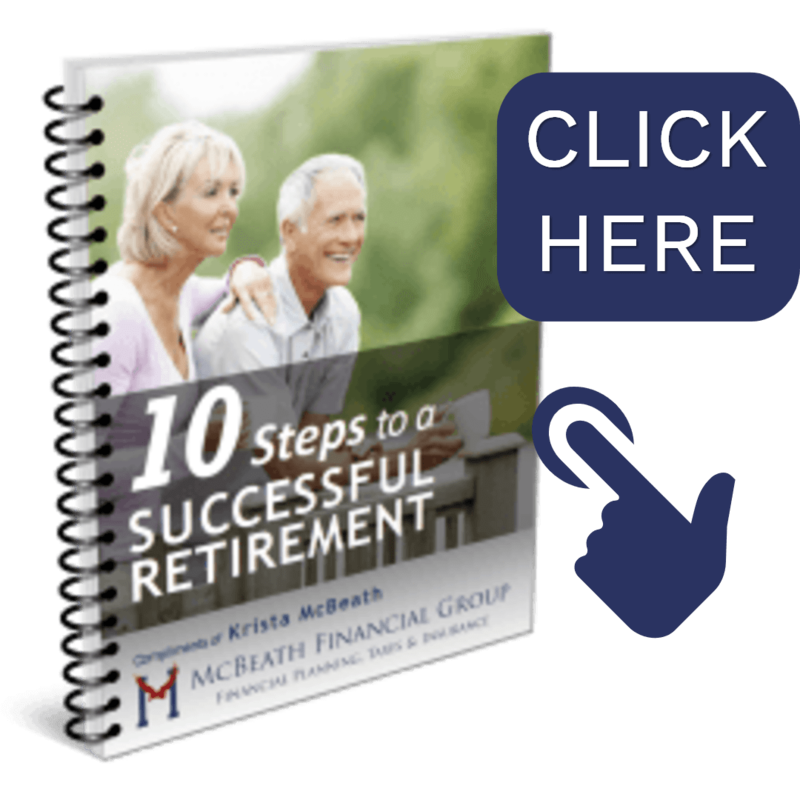 It is full of financial, tax and retirement news, as well as news on McBeath Financial Group. That's it. Here's what we won't use your email for. You won't be spammed. We are required to adhere to the ​CAN-SPAM guidance rules. This also means that with every email and newsletter you receive, there is an easy to find unsubscribe button, which means you can opt out at any time. We also won't share your information. In addition, as a financial firm, our security standards and requirements are much higher than most businesses, so your email and information is extremely secure. Finally, we won't solicit. You won't receive email sales pitches and you definitely won't receive unrequested phone calls. We know you are busy and respect that. We are a local business and we are only interested in being a resource for you, so that when the time is right, you'll reach out to us! So go ahead, get the free report and we'll be here when you need us!